WHAT A LOCATION! JUST 1 MILE FROM THE NEW WORLD EQUESTRIAN CENTER AND GOLDEN OCALA... 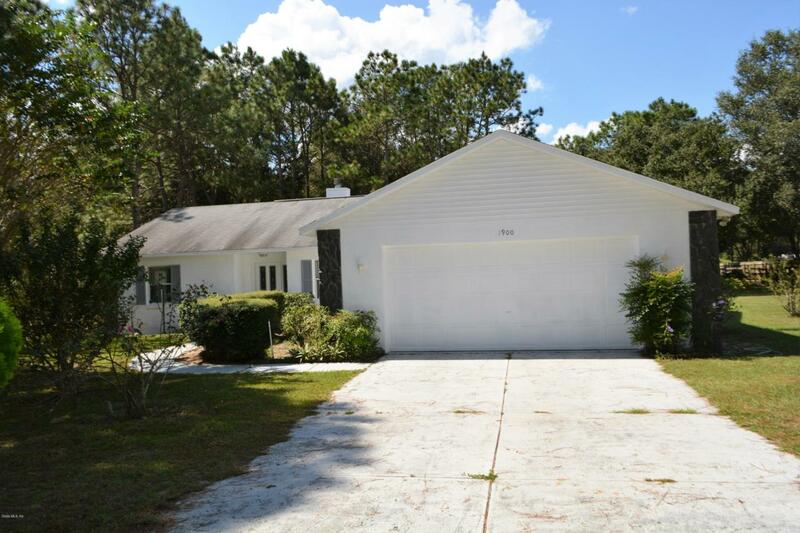 THIS LOVELY 3 BEDROOM 2 BATHROOM HOME IS LOCATED ON A 3 ACRE LOT IN AN EQUINE FRIENDLY COMMUNITY. THE HOME HAS A SPLIT BEDROOM PLAN, SPACIOUS MASTER WITH WALK IN CLOSET, FAMILY ROOM WITH STONE FIREPLACE, LIVING ROOM, LARGE KITCHEN, BREAKFAST AREA, FORMAL DINING ROOM, AND SCREENED FLORIDA ROOM. THE 3 ACRE LOT HAS A BEAUTIFUL SETTING WITH MANY LARGE OAK TREES AND A POLE BARN THAT COULD EASILY BE CONVERTED TO A HORSE BARN.